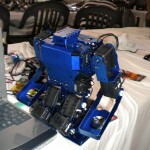 Introducing the Desktop Robot Turret! 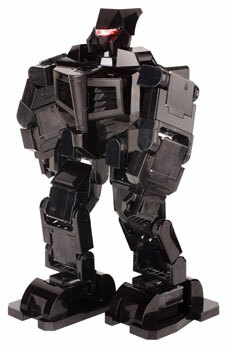 We’re proud to introduce the first of many products on the horizon, the Desktop Robot Turret! 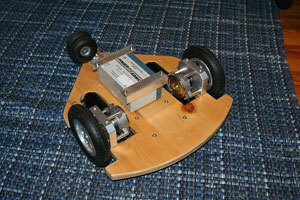 This Pan & Tilt platform is based around the custom designed Arduino-Compatible MosquitIO microcontroller! 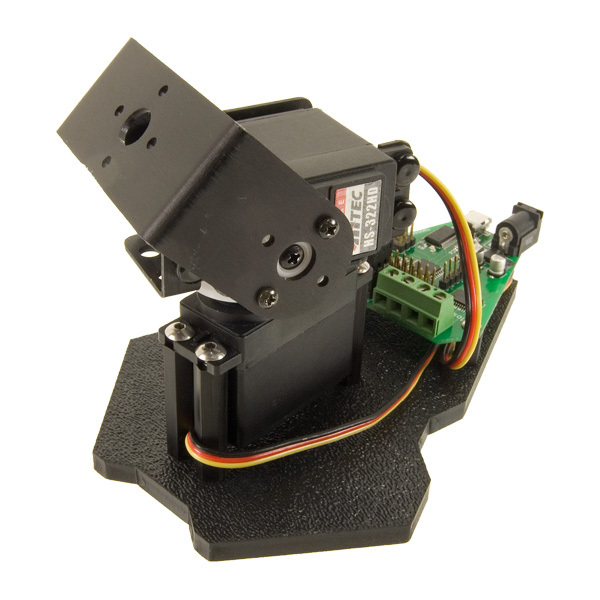 The Desktop Robot Turret is the perfect starting point for experimenters, roboticists, and hobbyists alike to get started in the exciting field of physical computing! This easy to build kit is based around the exclusive MosquitIO Pan & Tilt Microcontroller and includes everything needed to build a fully programmable, Arduino-compatible Pan & Tilt platform. Add webcams, lasers, airsoft guns, a variety of sensors to the available I/O, up to two small motors, and switch things on and off with the built-in solid-state relay! The MosquitIO can also be custom programmed using the Arduino IDE for autonomous behavior using sensory input, or a variety of other custom applications- your imagination is the limit! We are also working with Roborealm for a fully supported module for the MosquitIO, but for those of you who can’t wait; We’ve created a preliminary colored object tracking demo using Roborealm. 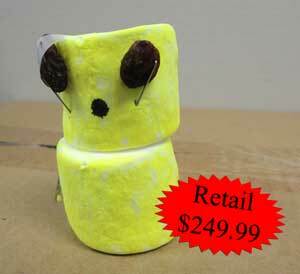 Stay tuned for a full-featured Roborealm Module as well as special packaged deals! 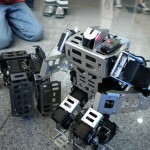 I was lucky enough to attend the 2010 Korean Robot Games Festival, and let me tell you; it was an absolute blast! 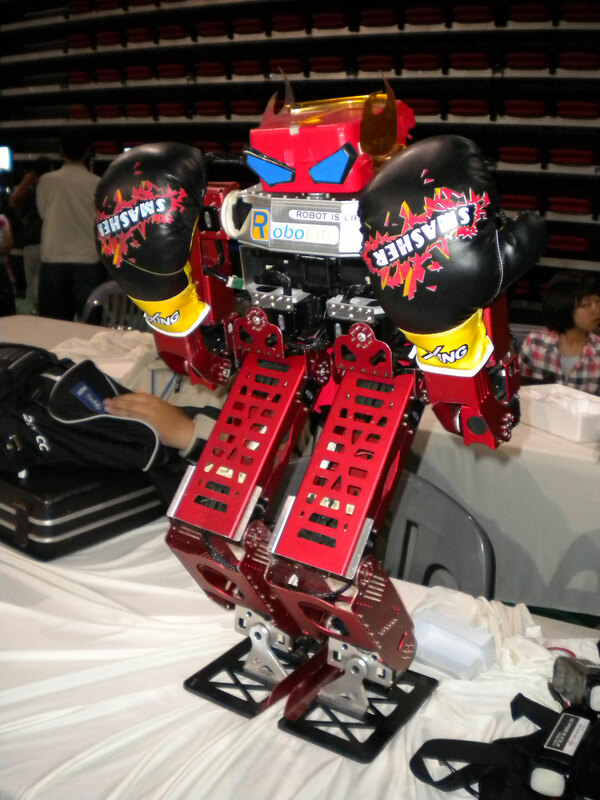 I’ve never before seen so many humanoid robots under one roof, and the competition there was really fierce. 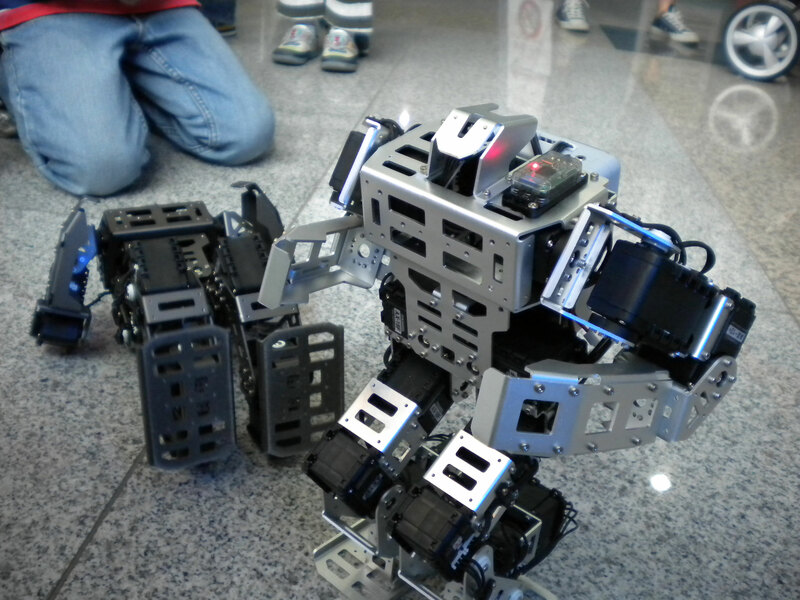 Builders from all over S. Korea, Japan, and a number of visitors from across the globe showed up for the Humanoid Kung-Fu tournament held there. 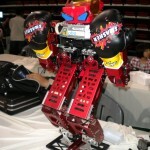 Everything from smaller Bioloid bots to the massive Red Devil (which stood close to 3 feet tall and weighed well over 20lbs!) duked it out! Here is a quick video that highlights some of the cool stuff to be seen there, be sure to check out our photo gallery as well! 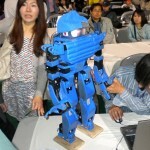 Our friends across the Big Pond at Robosavvy were lucky enough to visit the Korean Robot Festival this year. 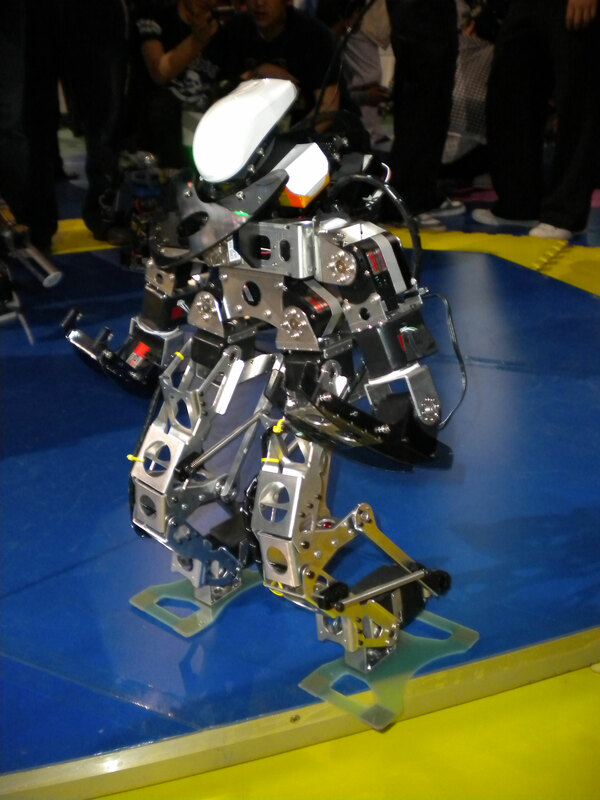 They took tons of pictures and shot a lot of video showcasing some of the world’s top humanoid competition robots! 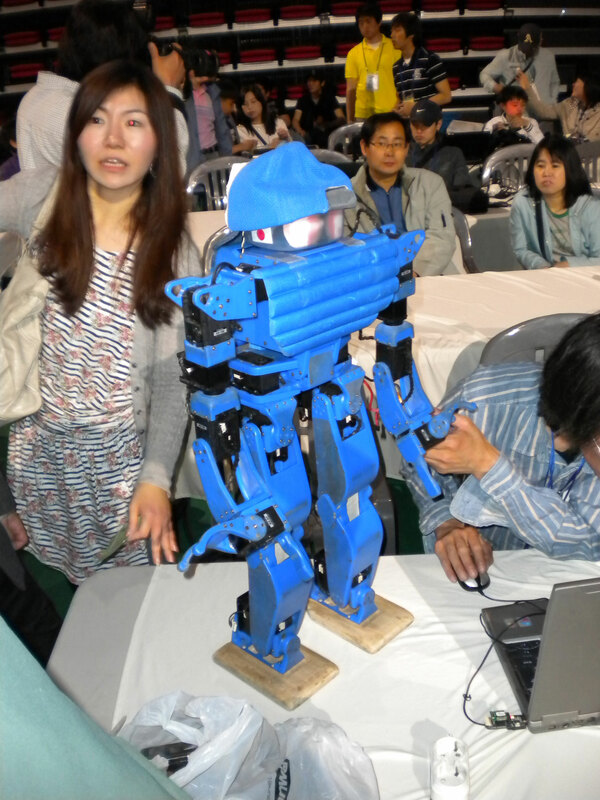 From slightly modified Robonova and Bioloid bots, to fully custom towering humanoids, all shapes and sizes showed up to compete. 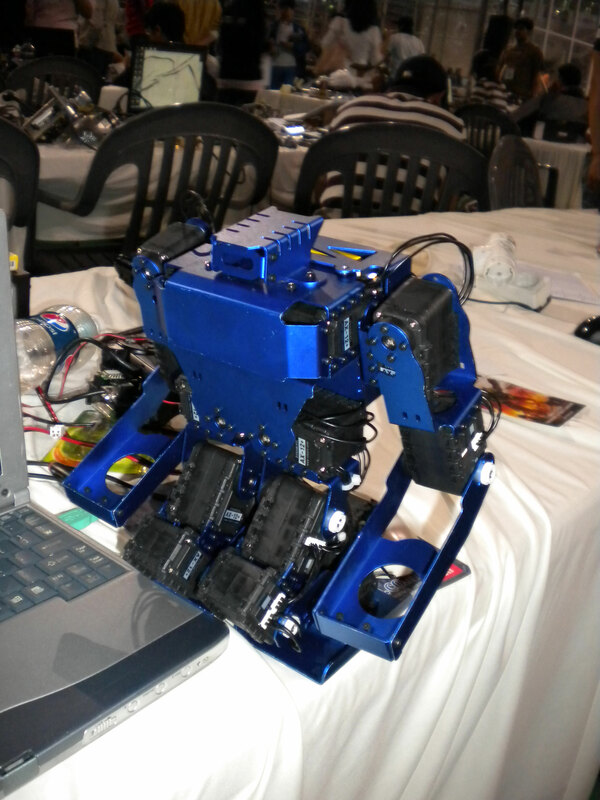 Pedro from Robosavvy did an amazing job of documenting his time there in this forum thread, anyone interested in humanoid robots will be delighted to check it out. The thread linked above has the full details, but this video stood out to me as awesome; it’s a custom built humanoid using AX-12 servos. 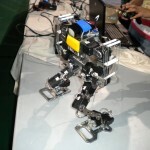 Check out how quick and agile it is! 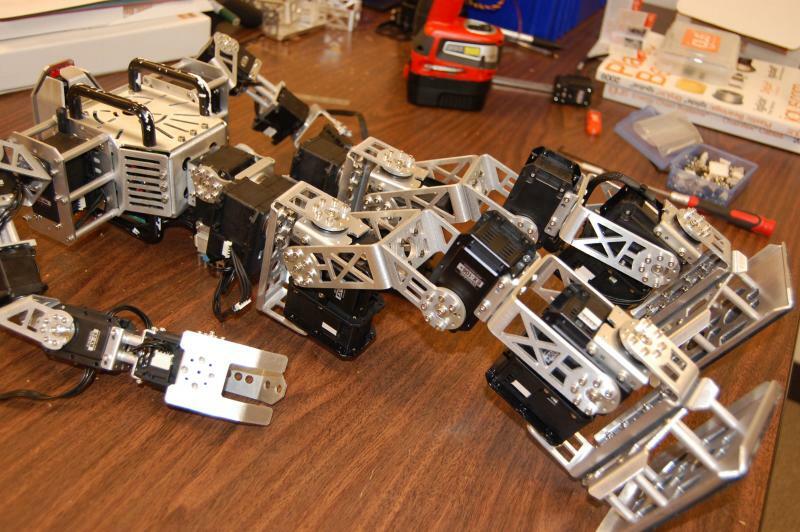 We’ve been working feverishly away to add even more robot parts and upgrades for your greater building pleasure. 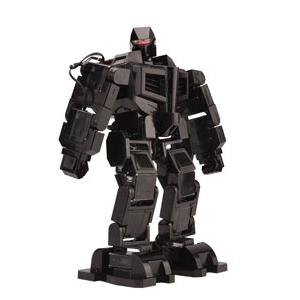 Here are some highlights of the cool new products that have just been added to the Trossen Robotics catalog! 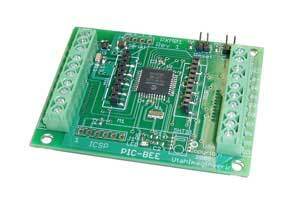 PICBEE– Finally an easy method to use the Maxstream XBEE module coupled with the power of the Microchip PIC 18F series micro-controller. As a stand alone board, it can be a development platform or target device for nearly any application. This is perfect for creating a wireless sensory aquisistion network! 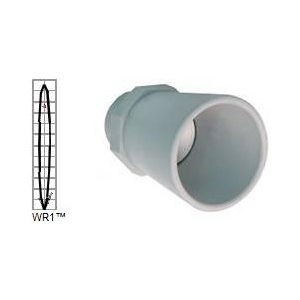 Maxbotix WR-1 – Sonar Low-Voltage Weather-Resistant Ultrasonic Range Finder (IP67 Rated) With 3V – 5.5V power the LV-MaxSonar®-WR1™ provides very short to long-range detection and ranging, in a compact, robust PVC housing, designed to meet IP67 water intrusion, and matches standard electrical ¾” PCV pipe fittings. 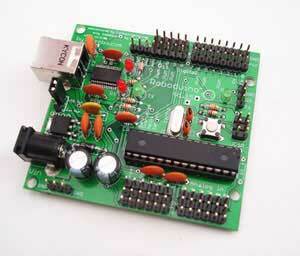 The Roboduino is a Freeduino (Arduino software compatible) microcontroller board designed for robotics. All of its connections have neighboring power buses into which servos and sensors can easily be plugged. 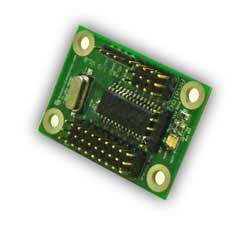 Additional headers for power and serial communication are also provided. 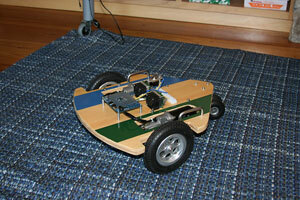 The kits come fully assembled and with a USB cable for programming and debugging. The IOWizard is used when additional I/O capabilities are required. 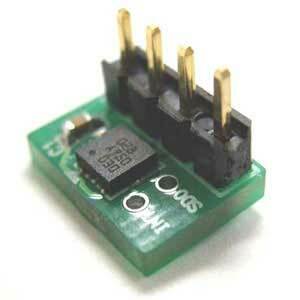 The IOWizard features an I2C interface that allows users to query 5 analog inputs and 10 digital I/O lines. The default I2C slave address is 100d (0x64h), and it can be changed to a value between 100d and 110d (0x6Eh). 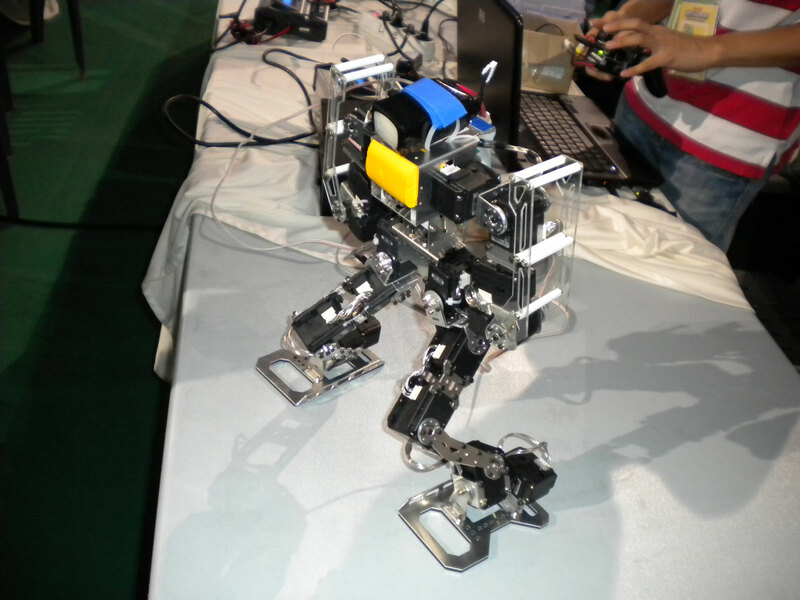 Looking to make your Robobuilder Humanoid more durable? This Metal Bracket Upgrade Kit is the way to go! These high-quality aluminum brackets reinforce the legs and servo joints to fortify your robot to take a beating during competitions or rough play. 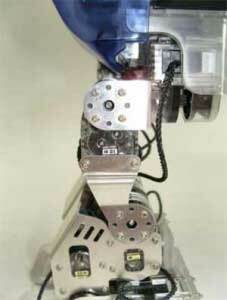 The Robobuilder 3-Axis Accelerometer sensor module measures the acceleration in all three axis (X, Y and Z). Read measurements range from -7 to +7. Integral number 1 can be translated into 1/4g (here g stands for gravity acceleration). 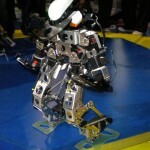 By analyzing the return value on each axis you can determine the actual position/orientation of the robot at any time. The World Will End in a Robotic-Feline Uprising! You heard it here first folks. I always knew that robots would be involved in the end of the world, but I never suspected one of our own beloved pets would be the masterminds behind it. I have discovered undeniable evidence that our days are numbered. I present to you the most terrifying video I have ever seen. In it you will see a cat with complete psionic control over a robot, commanding it to do its bidding. Or maybe its the other way around. Either way, what this spells for our future is not good.